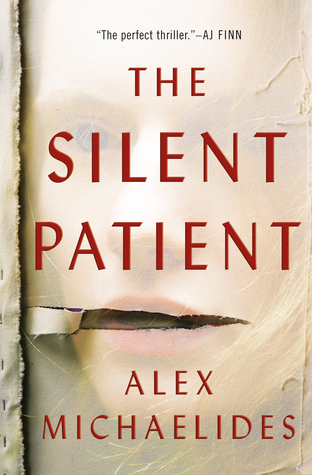 You would expect someone accused of murder to speak in her own defense, but that's not the case in The Silent Patient by Alex Michaelides. 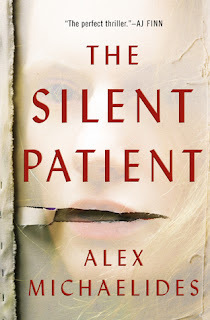 Alicia Berenson is found standing over her dead husband's body and refuses to utter a word. Six years later, psychotherapist Theo Faber feels certain that he can help her and also solve the mystery of what happened that night. Theo believes that he can break down the walls Alicia has built by trying to uncover what in her early life could have made her kill her own husband whom, by all accounts, she loved deeply. There is always more behind the scenes than we can ever know and this applies to all the characters in this book. This was a very quick read for me. The chapters are short and the action has strong momentum. I went to bed last night with about a hundred or so pages left and couldn't turn off the light until I had finished. The author does a good job of presenting lots of possibilities to the reader trying to figure it all out before she gets to the end and it certainly kept me interested. I didn't love this book, but I liked it and sometimes that is just enough. This would be a good addition to your summer reading list- fun, quick, and exciting. 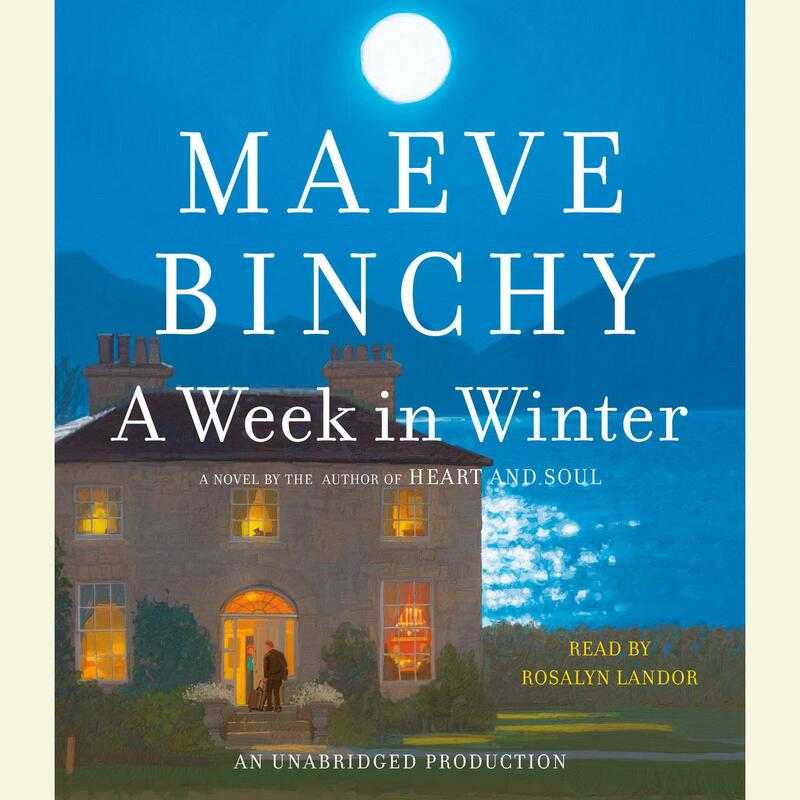 Last summer I read A Week in Winter by Maeve Binchy and really enjoyed it. I recently went back and listened to the audio version and it was absolutely delightful! 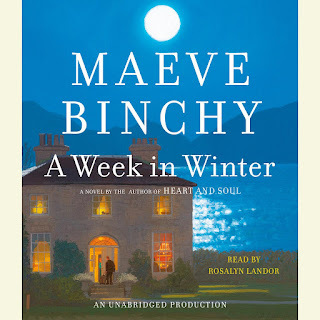 The Irish accents performed by Rosalyn Landor were the perfect way to pull the listener into the story and its lovely setting. I liked this book when I read it and I was so pleased that the audio version was just as wonderful. This is an excellent get-away-from-it-all story with sweet characters. It'll make you want to open your own guest house, or at the very least find one to book for your next holiday. 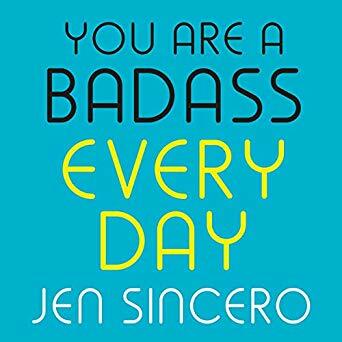 You Are a Badass Every Day by Jen Sincero is a tiny little daily devotional book to help you stay on the high-frequency path you discovered while reading her first book, You Are a Badass. The idea behind it is that each day you select a page to meditate on and keep yourself heading in the direction of your goals. Sure, it sounds cheesy when I say it that way, but if you've been able to overcome the cheese you thought you would feel while reading the original, this little blue book will be icing on the cake. While it is meant to be read a little each day, I borrowed it from the library to see if I would like it and ended up plowing through the whole thing. I will shortly be purchasing my own copy. Yes, I know I sound like I've been suckered into throwing all my money at some self-help fake guru, but hey, at least I checked it out for free from the library first! Read it for yourself and you might find you really like it, too. 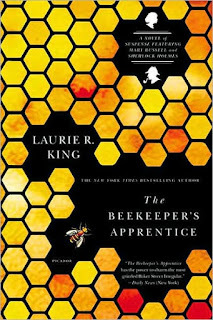 The Beekeeper's Apprentice by Laurie R. King is the first in a fifteen book series starring Mary Russell and her mentor, the now "retired" Sherlock Holmes. Having stumbled upon Mr. Holmes while on a walk through the countryside, fifteen-year-old Mary, an orphan in the care of a cheerless spinster aunt, discovers her intellectual equal. It may seem boastful to consider oneself the equal of Sherlock Holmes, but in this case it is also true. The two become fast friends and develop a partnership that takes her away from her unhappy life and injects a little spark into his too-peaceful one. 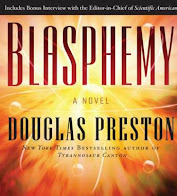 This book was interesting and the characters were good. The mysteries presented were intriguing, but the pacing was just far too slow. The language used in this historical novel was appropriate, but it impeded the reading. I really wanted to read this, but I would get a couple of pages in and find my eyes drifting closed; or I would put it down at the slightest provocation from the outside world. I know a lot of people would enjoy this style of writing, and it does draw the reader into the setting, but I just couldn't help but be a bit annoyed. Perhaps it is my fault for wanting to read more quickly so that I can read more books, but I felt like this book really slowed me down too much. I will, however, keep this series in mind for when I am in a more relaxed frame of mind because I think I could really enjoy spending more time with these characters. The Van Rippers were charlatans to some, saviors to others. Crooks or angels. Saints or thieves. But...uncertainty had never stopped generations of Tarrytown women from dragging themselves in desperation to the Van Rippers' doorway, begging for help. 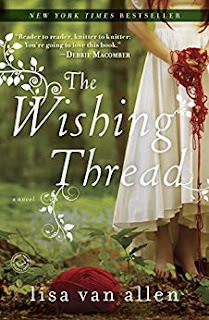 The Wishing Thread by Lisa Van Allen is set in the small town of Tarrytown, just outside of Sleepy Hollow, New York. The Van Ripper family has owned a house in the town square since the time of the American Revolution and there has always been some mystery surrounding them. Rumor has it that if you need a little magic in your life, a Van Ripper can knit you an item containing a magic spell. It could be a sweater or mittens or a scarf, but give it to someone and watch the magic work. Or not. The Van Rippers are quick to disclose that there are no guarantees. And each spell requires a sacrifice of something valuable to the seeker- not monetarily valuable, but emotionally precious. Aubrey is the newest guardian of the Stitchery, the house that has been passed down in the family for over two hundred years, and the place where the magic is knit. As her two sisters return after a long absence for a funeral, the women have an opportunity to repair their relationship and make a major decision about how their lives will proceed. This book was cute, but it didn't have quite as much magic in it as I was expecting and so I was a little disappointed. I liked all the knitting references- I taught myself to knit a couple of years ago. Each chapter begins with a knitting term: Make a Knot. Drop a Stich. Slip Slip Knit. I thought that was a really cute way to incorporate knitting into the chapters beyond the magical function. There were lots of references to the actual Terrytown and its neighbor Sleepy Hollow as well as the history and myth of the area. I liked this book, but I didn't love it. Maybe you'll like it more than I did. 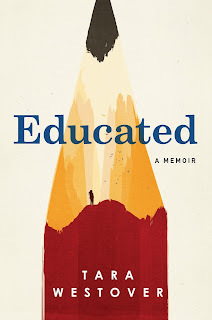 Educated by Tara Westover has been on my to-read list for a very, very long time. I first heard about this book while listening to NPR. When I tried to borrow it from the library, it became obvious that lots and lots of other people had also heard about it and so I would have to wait a really long time to borrow the book from the library. As a second option, I put my name on the list for the audio version. It also had a long wait list, but it actually arrived pretty quickly. I proceeded to copy the CD onto my player and returned it to the library. Then something very strange happened- the book didn't make any sense. It jumped around, it cut out and eventually it just ended. Upon further research, I discovered that the audio didn't download completely and in fact I was listening to a random puzzle of a story. Irritated to have to wait even longer (longer than this story if you can believe that!) I put myself back on the list. Finally it arrived and I was ready to listen. I cannot emphasize enough how worth the wait this was! 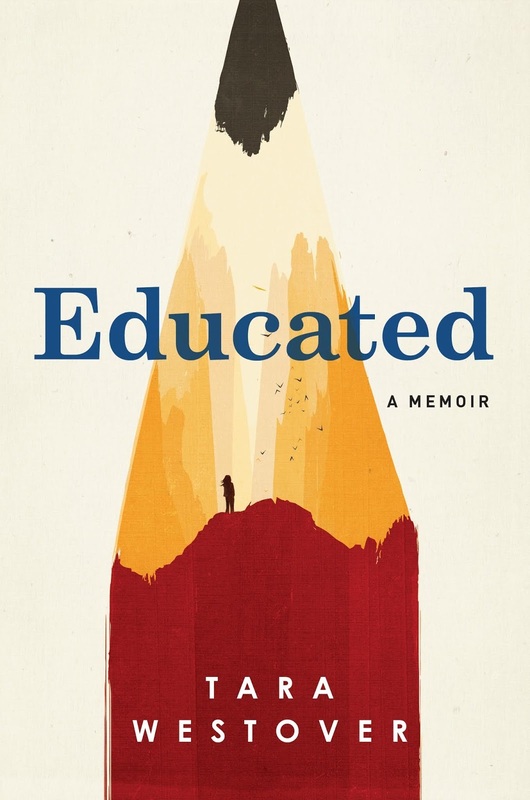 Tara Westover grew up on the side of a mountain peak in rural Idaho, the youngest in a large family and raised by a parents who didn't believe in the public education system. Or doctors. Or handwashing. Tara spent her days working in the family's scrap yard and helping her mother in the kitchen. She was taught to read and basic math, but beyond that there was no need for education; the public schools were just places of government indoctrination. They spent their time preparing for the End of Days, certain they would be the only survivors. At age seventeen, Tara yearned for more knowledge and a way out of the home where she was terrorized by an older brother. Never having been in an actual classroom, Tara began by studying for the ACT on her own. On her second attempt she earned a score high enough to secure a scholarship to BYU. After receiving her Bachelor's degree, she went on to earn a Master's and Doctorate from Cambridge and a fellowship from Harvard. Westover's father ruled his family with an iron fist. There was only his way of seeing the world. My father had taught me that there are not two reasonable opinions to be had on any subject. There is truth and there are lies. "There is a whole world out there and it will look a lot different once Dad is no longer whispering his view of it into your ear." This brother, Tyler, helps her find all the information she needs to save herself. This book is a memoir, but it reads like some of the most thrilling fiction I've read. Chapter after chapter I found myself on the edge of my seat; it is exciting, sad, and at the same time, inspirational. I hope you won't have to wait as long as I did to read or listen to this book, but if you do, know that it is worth the wait! 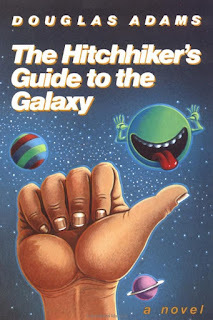 I have heard only good things about The Hitchhiker's Guide to the Galaxy by Douglas Adams so when it came up as an option for book club this month, I was all for it. After all, it's been a part of pop culture (and nerd culture) for so long, it was about time I'd read it for myself. Arthur lives in a country village in a modest home and is startled awake one morning by the sound of bulldozers preparing to demolish that home to make way for a bypass. As you can imagine, he is unhappy about this. Just as he is prostrating himself in front of the machines in protest, a friend comes to inform him that his greater home, the Earth, is also set to be demolished for an intergalactic bypass. This friend, Ford, turns out to be an alien in the process of updating The Hitchhiker's Guide to the Galaxy, a very useful book for those familiar with the rest of the universe. Hijinks ensue, there are capers and antics, THE Question must be answered and Arthur is along for the ride. I'll be honest with you: I could not get into this book. Actually, I was having so hard a time with it that I had to pause halfway through and watch the movie just to try to make heads or tails of it. It helped...a little. I can see that some people would really love this book and all the fun, nerdy, sci-fi aspects of it, but me- not so much. There was humor and parts of it could have been interesting, but this book just wasn't for me. The only reason I muscled through it was because it was for book club. Otherwise, I doubt I would have made it through the first three chapters. It might not even have made much difference to them if they'd known exactly how much power the President of the Galaxy actually wielded: none at all. Only six people in the Galaxy knew that the job of the Galactic President was not to wield power but to attract attention away from it. Well, that's certainly something to think about, isn't it?